FIU students and their professor have patented a series of new tests that can quickly, accurately and cost-effectively confirm the presence of cocaine. The tests can be carried out by police on the side of the road – one testing saliva, the other unknown powders. In each case, the substance to be tested is added to a liquid solution developed by FIU chemist Yi Xiao and her students in the College of Arts, Sciences & Education. If the substance is cocaine, the sample glows under a blue light in seconds. "We're trying to detect a grain of cocaine dissolved in a swimming pool," biochemistry Ph.D. student Haixiang Yu said. "But it is even more complicated because saliva has proteins and salts that are different from person to person." Traditional methods for confirming whether a person has used cocaine are much more expensive, complicated, and time consuming, Yu said. Law enforcement must first obtain blood or urine samples, which are tested in a lab. Results usually take weeks and may yield false positives and false negatives, he said. With these tests, accurate results can be obtained within a fraction of the time and at an affordable cost. Whether powder or saliva, the tests are completed in a one-step process that doesn't require expensive equipment or lab-based services. While drug enforcement officials currently focus their efforts on preventing the spread of the nation's ongoing opioid crisis, there is a worry that cocaine use might be on the rise for the first time in a decade. A recent State Department report cites growing cocaine production in Colombia and a rise in cocaine seizures along the U.S. border as a warning that cocaine use might be making a resurgence. Researchers are working to license and commercialize the tests. 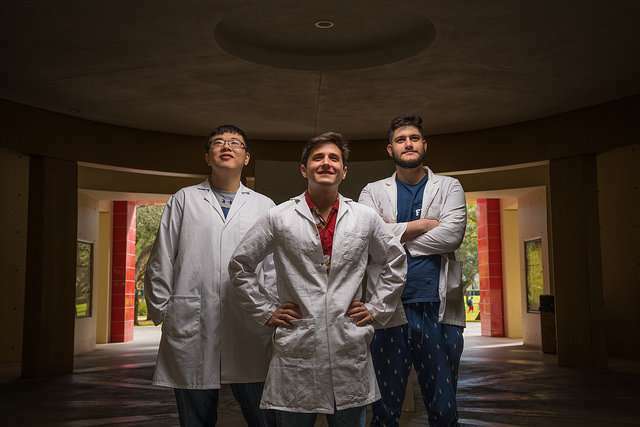 Xiao, Yu, chemistry Ph.D. student Juan Canoura, and recent chemistry graduate Obtin Alkhamis published a study on these methods in the journal Analytical Chemistry.